Representatives from different Vietnamese enterprises committed to fulfill their responsibility to protect wildlife at a workshop held today in Hanoi. Representatives from different Vietnamese enterprises committed to fulfill their responsibility to protect wildlife, including rhinos’ horns, at a workshop in Hanoi. The workshop, titled “Enterprises lead corporate social responsibility to integrate zero-tolerance to wildlife consumption”, was organised by the Wildlife Trade Monitoring Network (TRAFFIC) and the Viet Nam Chamber of Commerce and Industry (VCCI). The event was sponsored by Save the Rhino International as part of an initiative, which was launched in 2015, to reduce the demand for rhino horns in Viet Nam. Representatives from different enterprises, including Artex Import-Export Joint-stock Company for Fine Arts, Manulife Vietnam, Son Ha Investment and Commerce Co Ltd and North Tribeco Company, signed a commitment to join hands to precent illegal trade and consumption of animal parts, including rhino horns. A recent survey conducted by TRAFFIC showed that the main group consuming rhino horns in Viet Nam was prosperous entrepreneurs. TRAFFIC, therefore, collaborated with VCCI and other social organisations to encourage the participation of enterprises to create positive results to change the group’s actions. Madelon Willemsen, country director of TRAFFIC Viet Nam, said the participation of entrepreneurs played an important role in preventing illegal trade of wildlife. She also expressed hope that more and more enterprises would join the effort. Madelon congratulated entrepreneurs attending the workshop as they were the vanguards in protecting nature, especially wild animals. During the workshop, representatives were supplied with information related to the illegal trade and consumption of wild animals, as well as initiatives to ease the problem in Viet Nam. The representatives also studied the importance on protecting wild animals from extinction. Following the workshop, these enterprises will spread the message on setting up regulations for their employees, customers and partners to not engage in consumption of wild animals, she said. TRAFFIC is working with social organisations, including VCCI, to prevent the illegal trade of wild animals through this initiative to reduce the demand for rhino horns in Viet Nam. 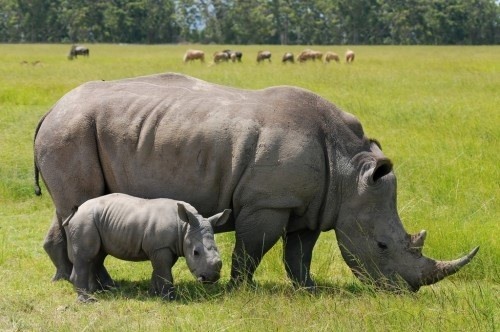 The demand for rhino horns in Viet Nam and other Asian countries is the main reason for the increasing number of rhinos being hunted in Africa, according to TRAFFIC. With this initiative to change consumers’ action, TRAFFIC and VCCI are hoping to encourage the enterprise community’s participation in creating a new social conception, in which there is no compromise that could lead to illegal trade of wildlife.